Do you have a horsey partner? I am very lucky to have a great husband who can ride (but isn’t that bothered by riding) and he has been such a huge help and support over the years. Do you have a horsey other half? What do they do to help you? Horses take up a lot of time (and money), but if you have a horsey partner they understand this. Ok so part of the time is chatting but that is a whole separate post on it’s own! You are less likely to get a text saying are you sleeping at the yard because realistically if you ride after work you won’t be home until 8 or 9pm. They will also understand the highs and lows of horses. If you compete, or are out and about at clinics it’s great to have some support. It’s lovely having someone coming with you, but it’s even better when they can be useful and tack up, get sent to collect the right bit of tack and know what this is. 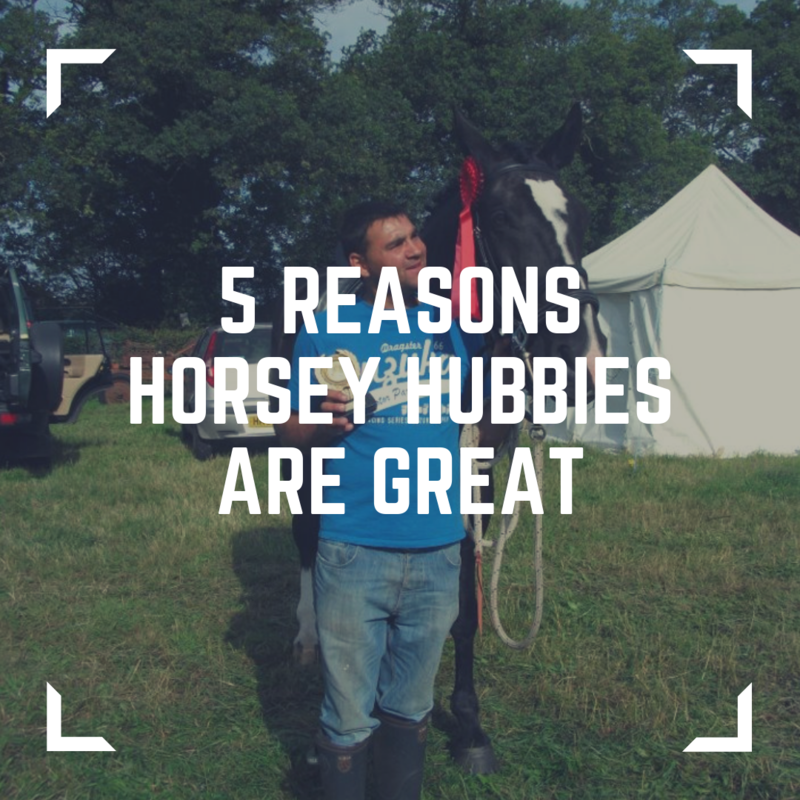 If you are running late, aren’t very well or just need a break a horsey partner can actually muck out, feed and turn the horses out without you having to give 8 pages of instructions and you be worrying about what you might find later. Let’s be honest we probably don’t look a million dollars when mucking out at 6am, and after a long day playing ponies we probably smell like a walking muckheap. Horsey people also flit from high points to lots of lows, a horsey partner will truly understand why you’re distraught that your horse has lost a shoe on a Saturday night before a competition, and not say great we can go out for dinner. If you have a hubby who rides you can actually ride together, which in my case occurs every 5 years or so but is still lovely.